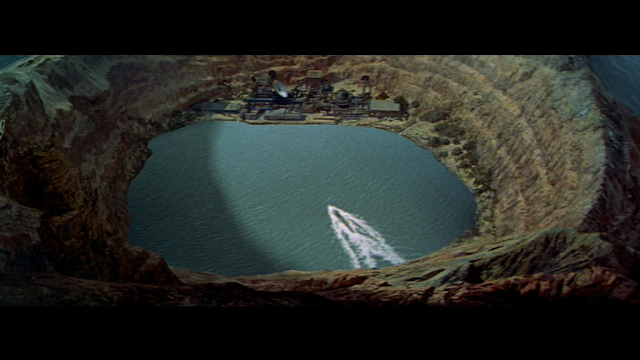 Hi, I enjoyed your site very much. 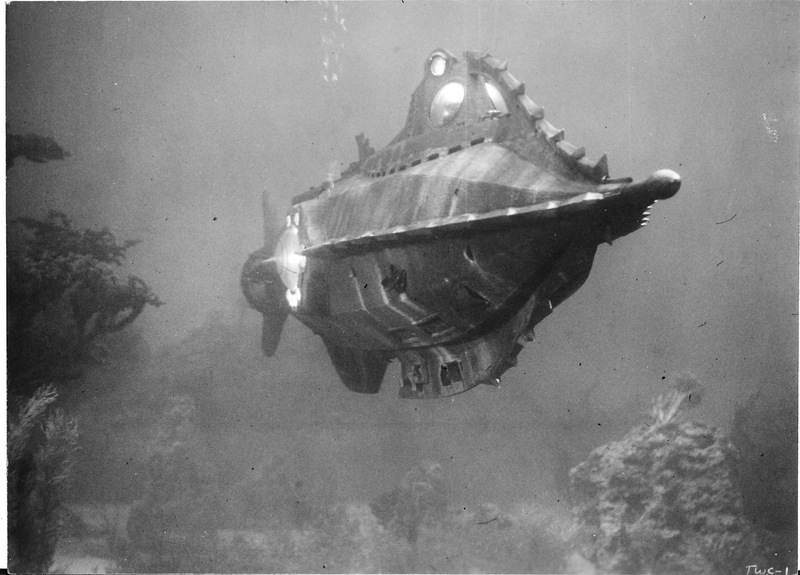 I can't see too many photos of the Nautilus. Disney/Goff "look". 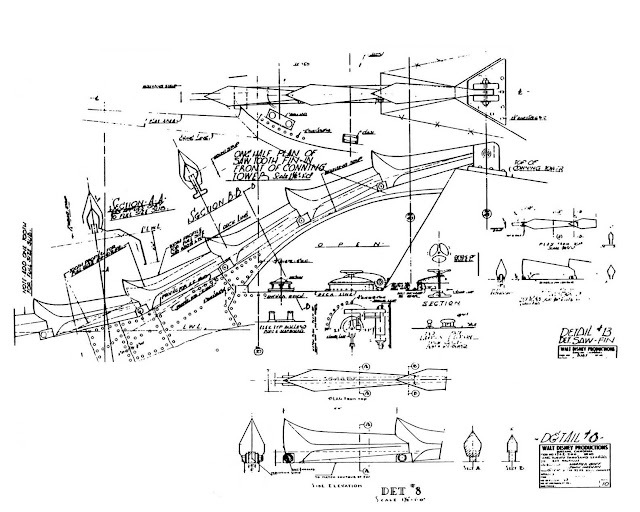 That redesign was one of the most difficult to accomplish. 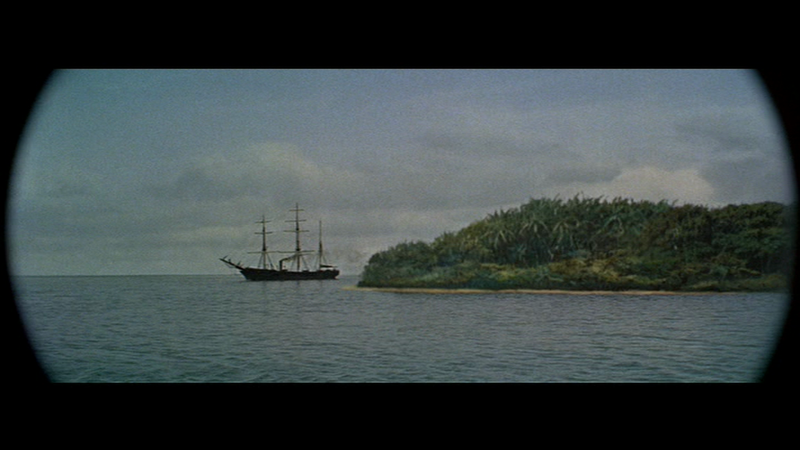 It's not yet complete, but hopefully it will be within the next year. 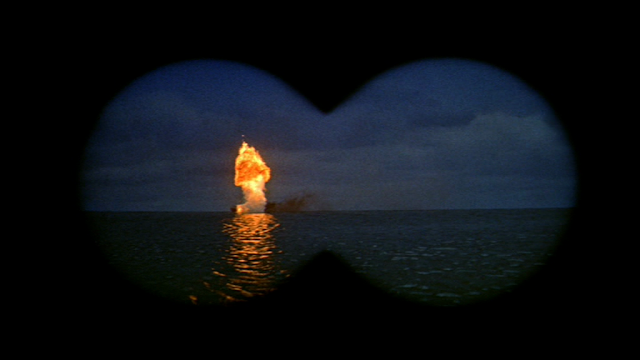 At least I hope so! 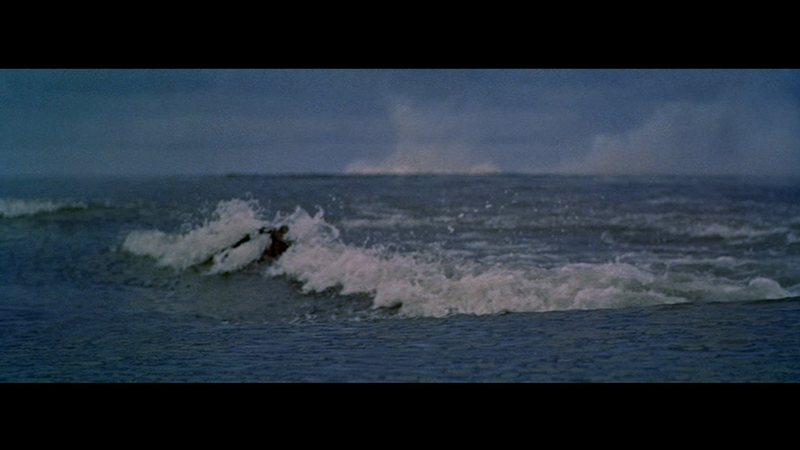 project, not yet ready to share those however, but they are good. 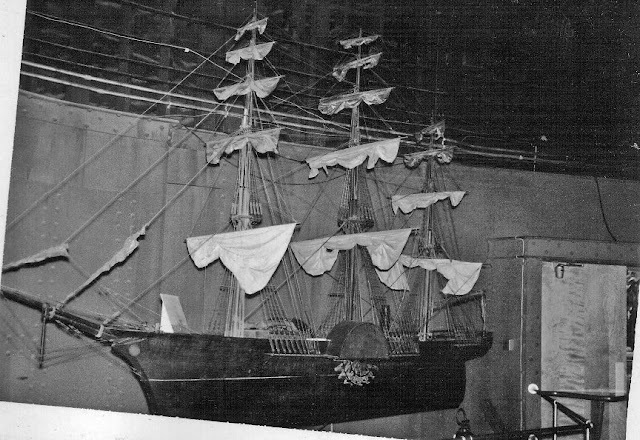 Not too many people have seen my model, just family & friends. 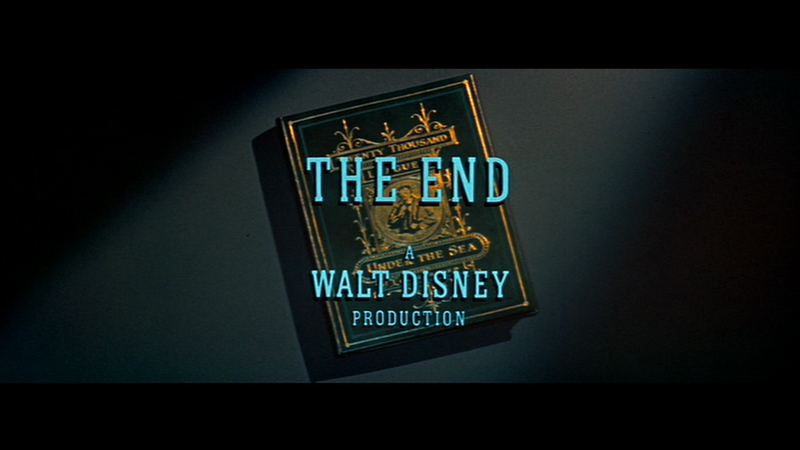 Hope to get Disney interested when it's finished. 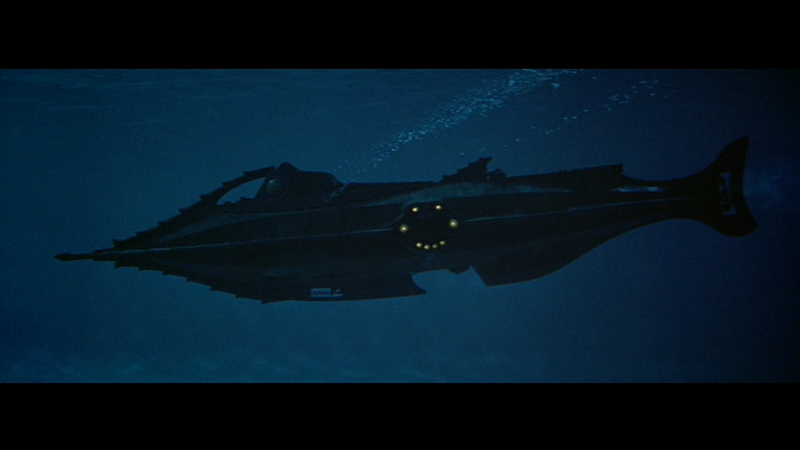 12 Year project...Exterior and Interior, that is dedication. 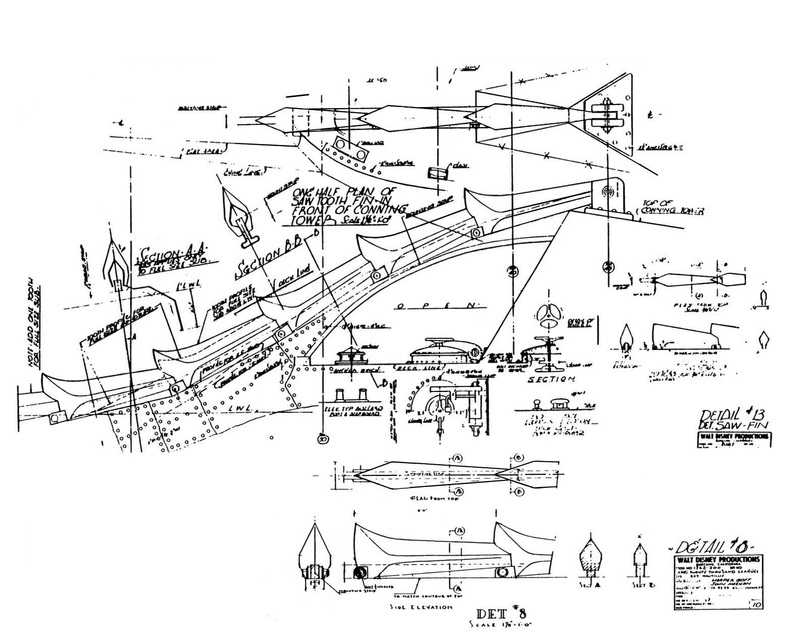 I have a RC Sci Fi vehicle project that I have just resumed working on that is over 10 years old, but I hadn't worked on it for at least 5 years. As Swashbuckler mentioned, the Golden Arrow was a three-masted ship. 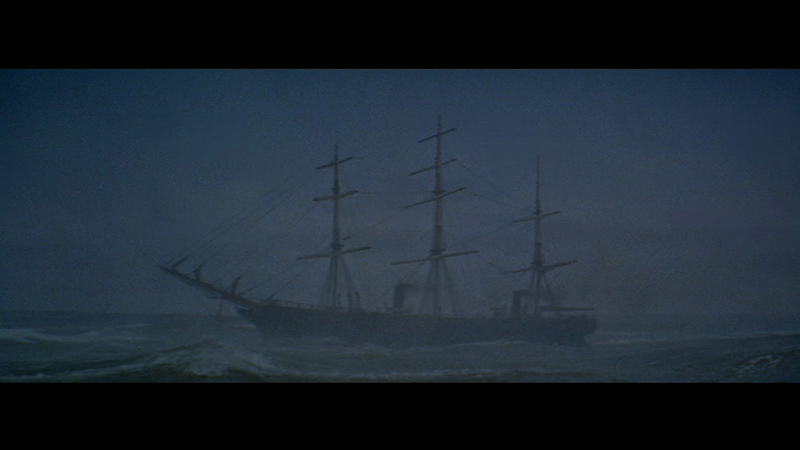 The nitrate ship out of Rorapandi, on the other hand, was two-masted. 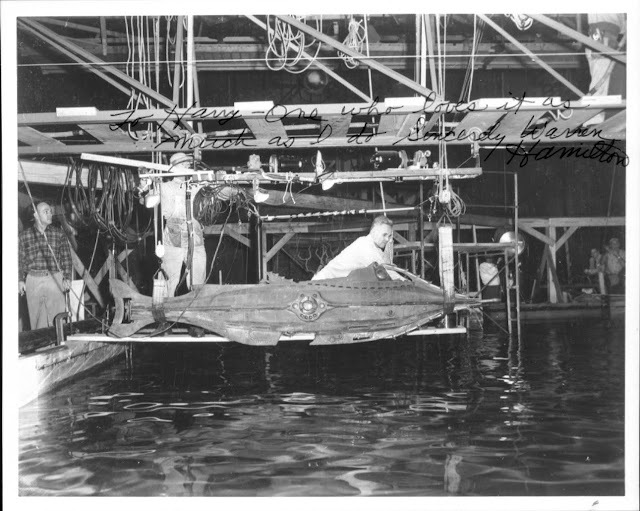 The image with the caption, "Technicians preparing the Golden Arrow model...", therefore is incorrectly labeled. 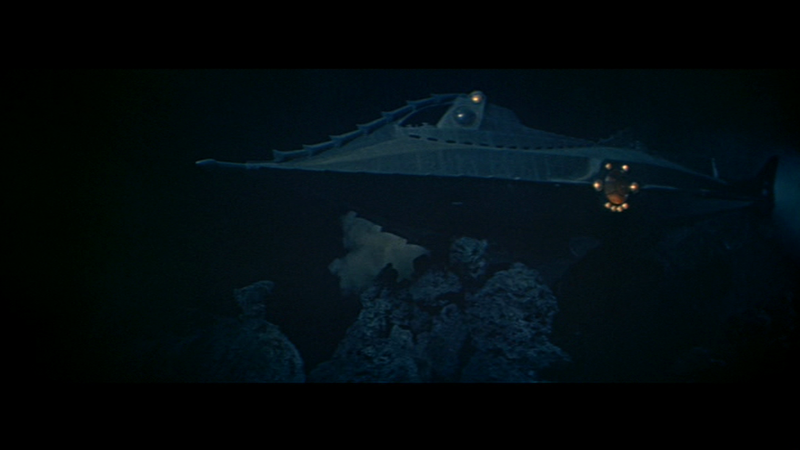 The ship model they're working on is the nitrate ship. 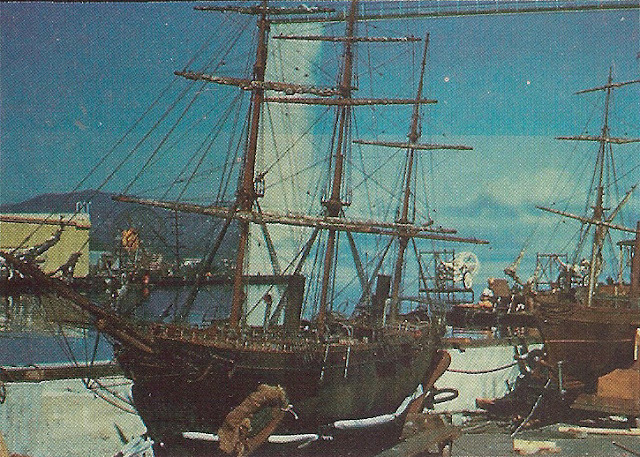 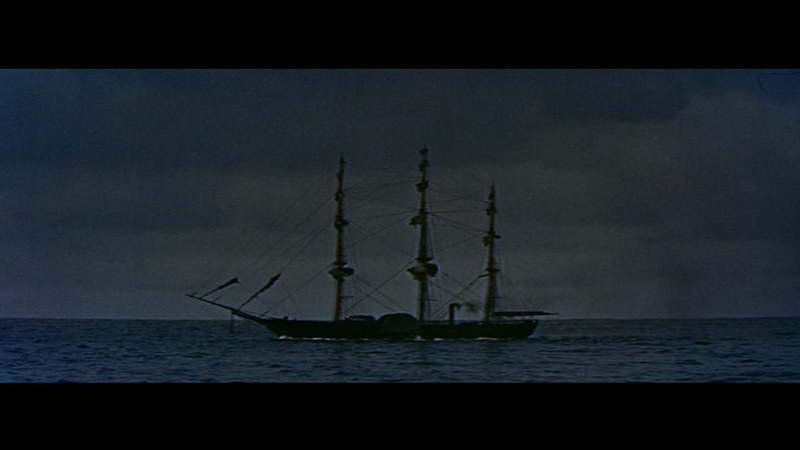 This ship was also seen briefly in "Anna and the King of Siam" (1946). 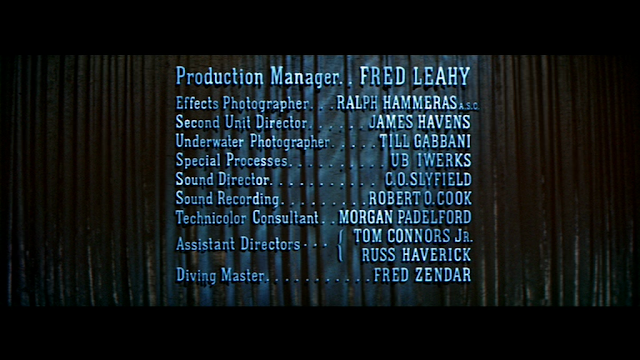 Thanks for the corrections I have finally updated the caption. I will have to have a look at "Anna and the King of Siam". It wasn't a movie I had considered to have any model ships in, it's now on my radar. 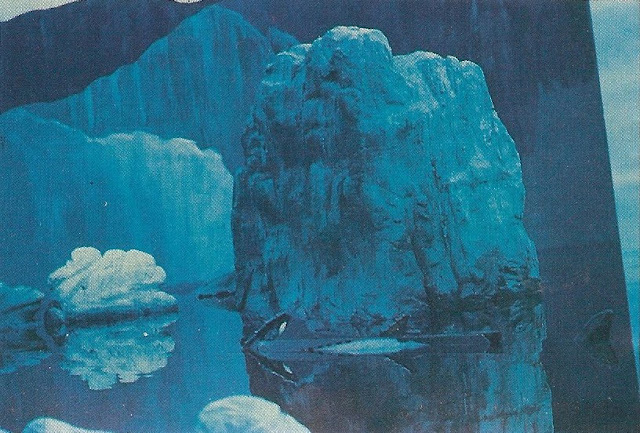 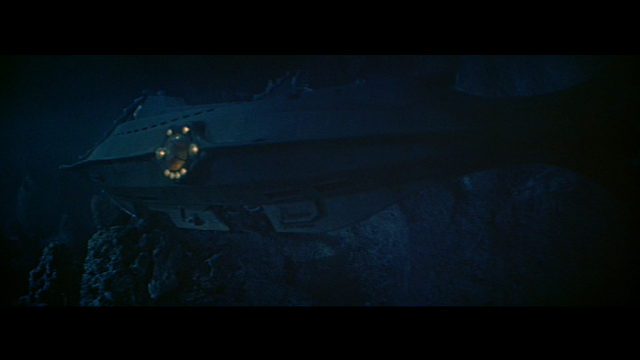 That still of the un-used footage of the sub in the ice, that icebeg looks just like the one that appears in the beginning of Fox's 53 Titanic! 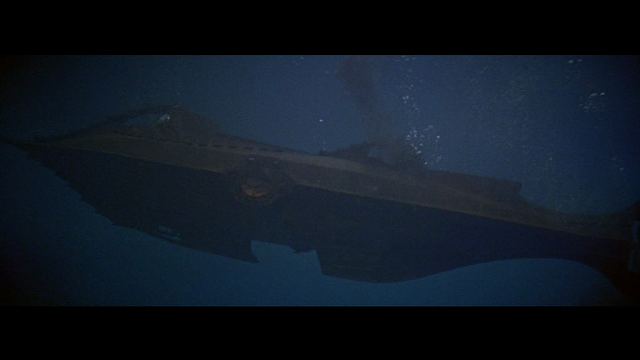 Could easily have been the same one as that was Fox's tank they shot the sequence in and they probably could have rented the iceberg prop out of the prop store while they at it. 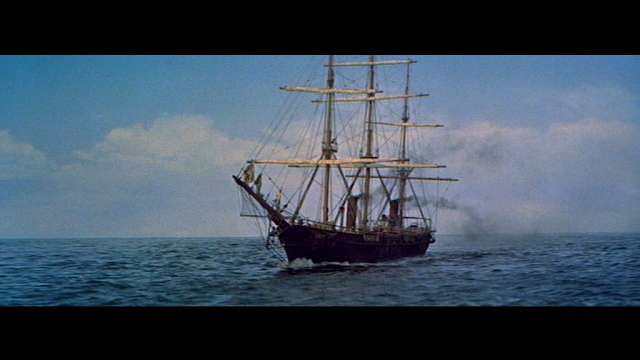 The dual-masted "nitrate ship" miniature also appeared in "Reap the Wild Wind" (1942), even earlier than "Anna and the King of Siam" (1946). 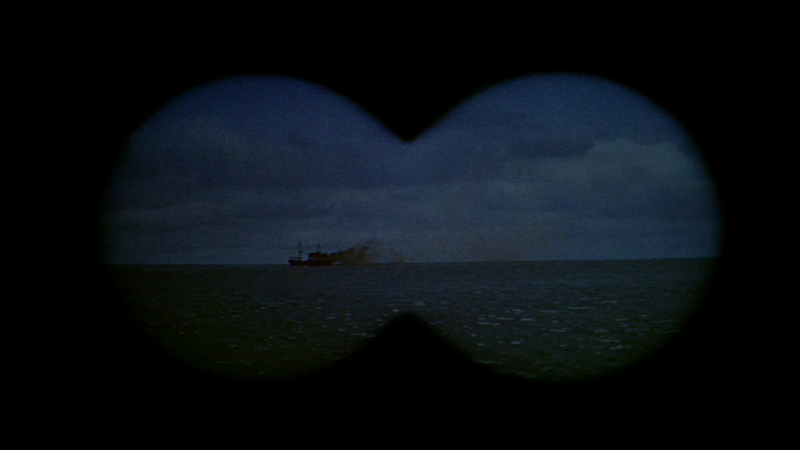 "Reap" may have been its original screen appearance, as it had considerably more screen time. 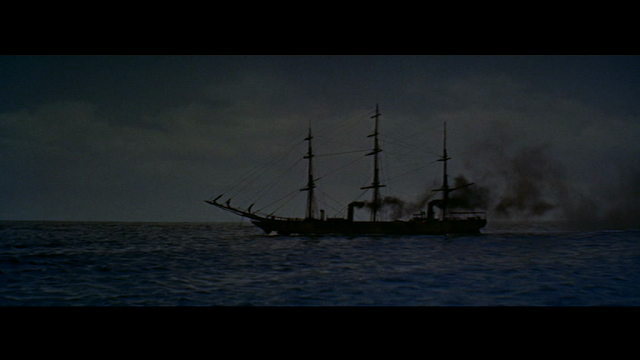 Above, Swashbuckler stated that the three-masted paddle wheeler "Golden Arrow" was not destroyed but hanging in a movie prop storehouse. 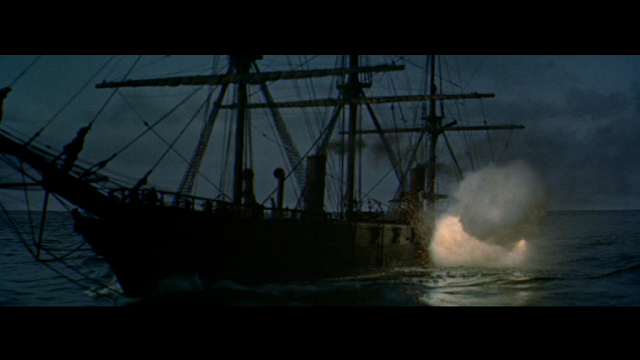 Point of fact the article does state the following, the "Golden Arrow, destroyed (in the movie, not in actuality) at the start of the film was a sailing ship to which the Disney model crew added working paddle wheels." 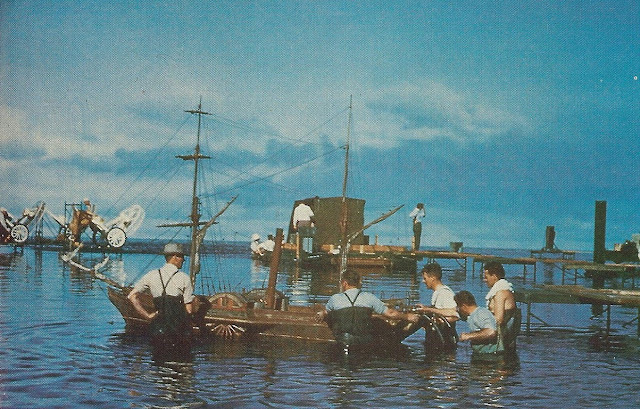 You changed the caption to, "Technicians preparing the Nitrate Ship model, attacked and sunk at the start of the movie." 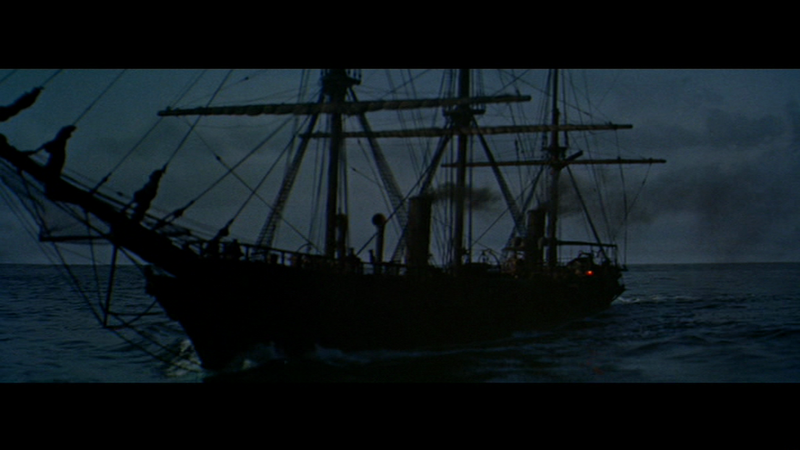 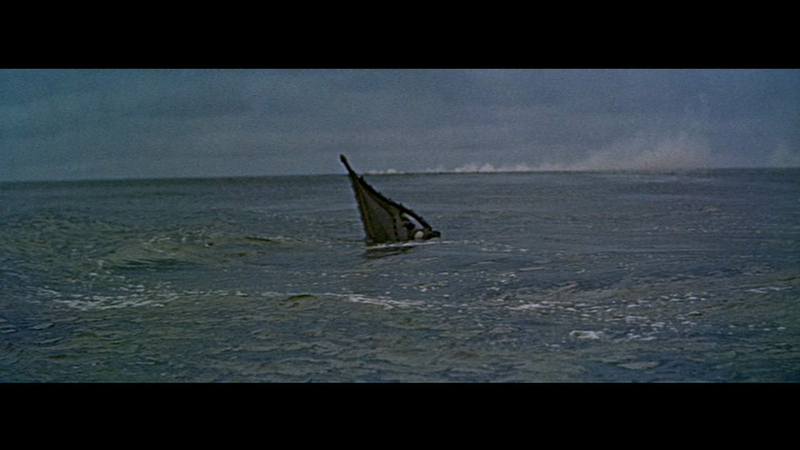 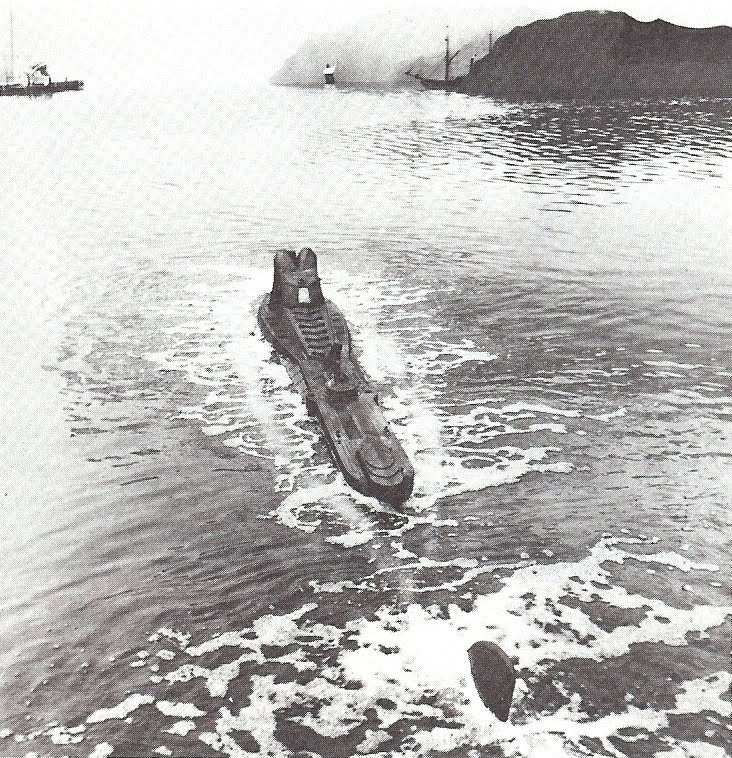 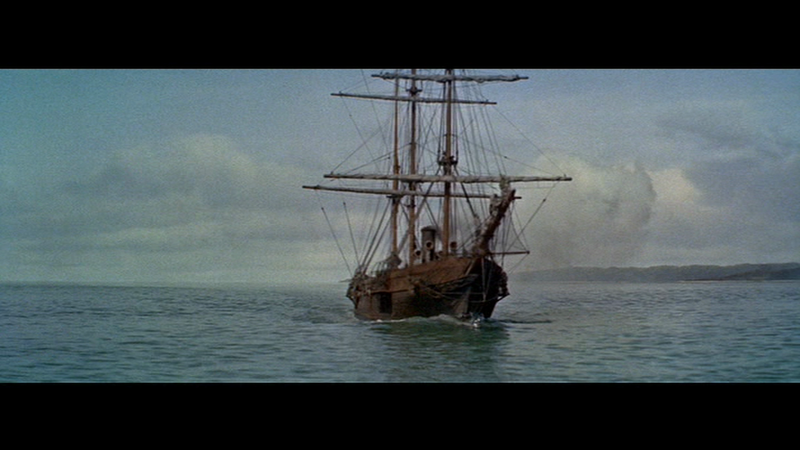 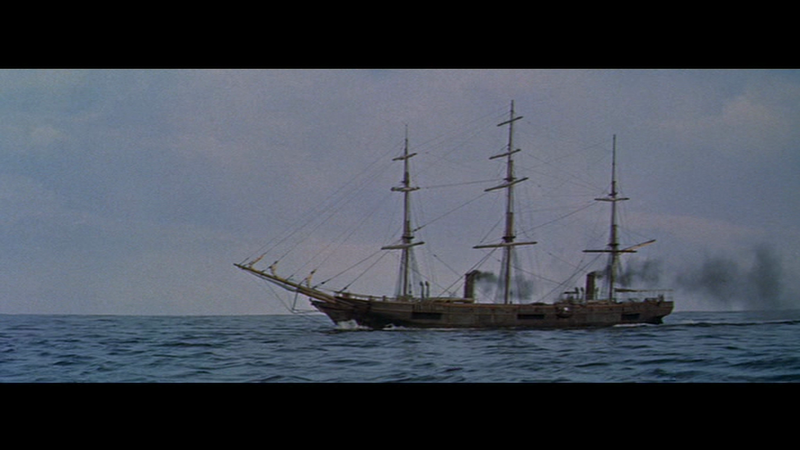 The ship sunk at the start of the movie was the Golden Arrow, as stated in the article. 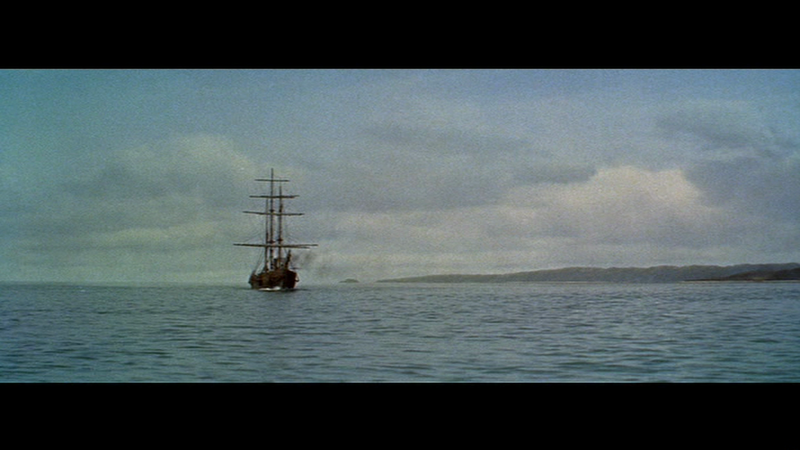 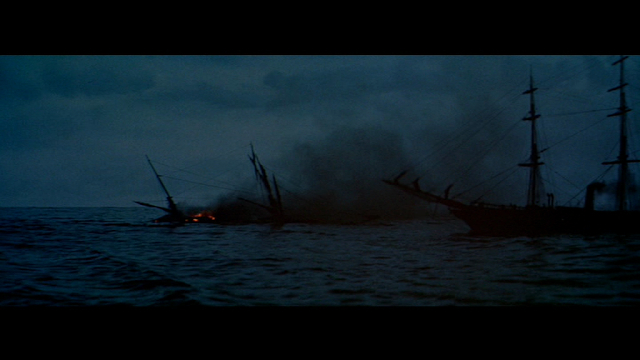 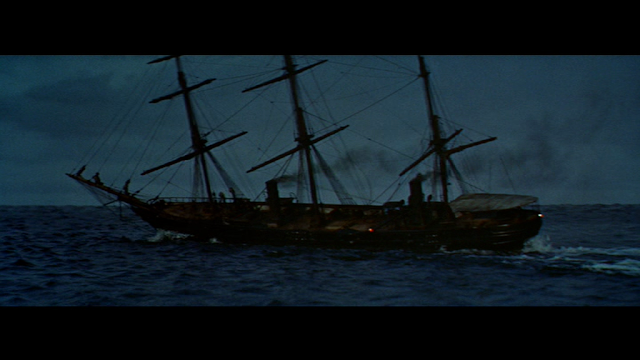 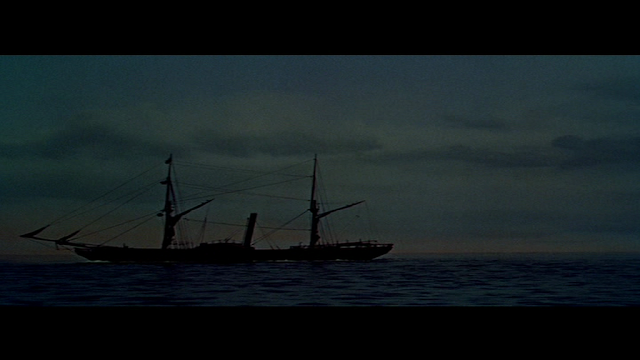 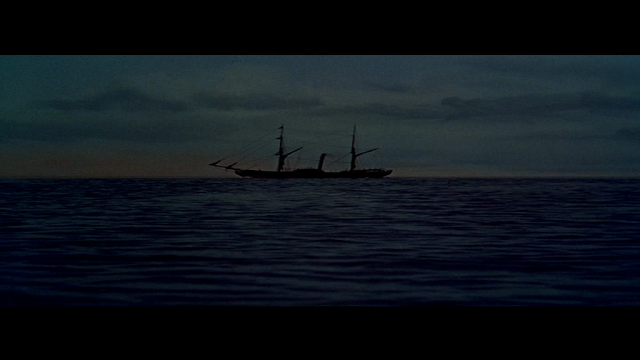 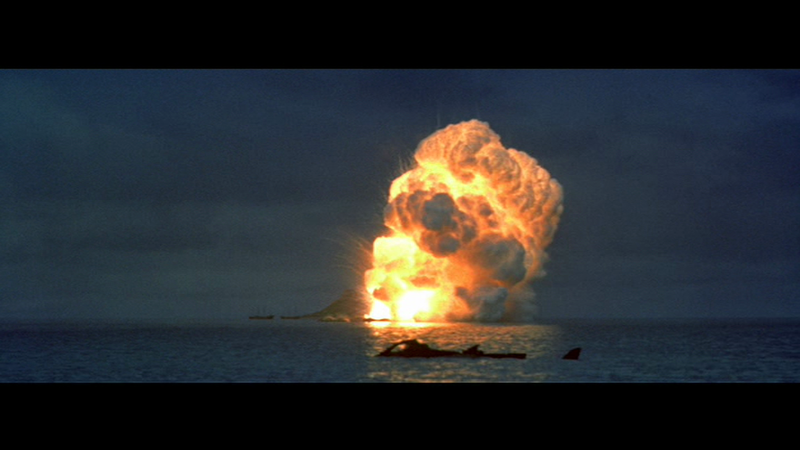 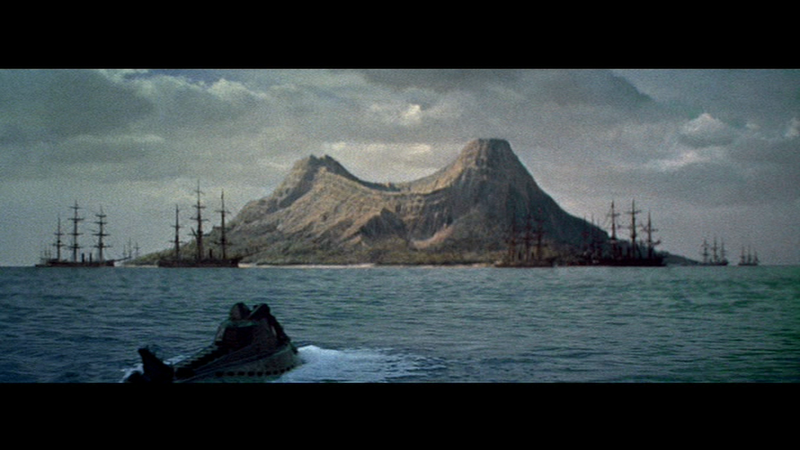 The nitrate (two-masted) ship, however was sunk later in the movie as it left the island of Rorapandi. 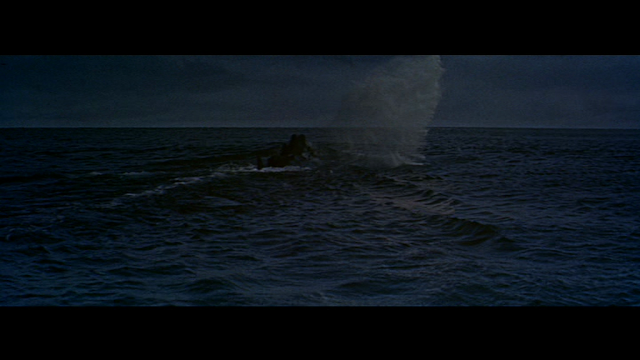 I would like to know that myself. 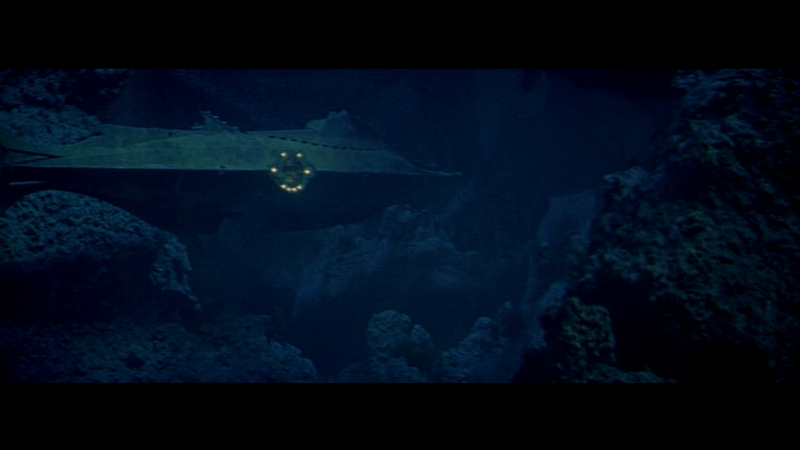 My guess is that they were either eventually sold off in some of the auctions the studios held, or just scrapped. 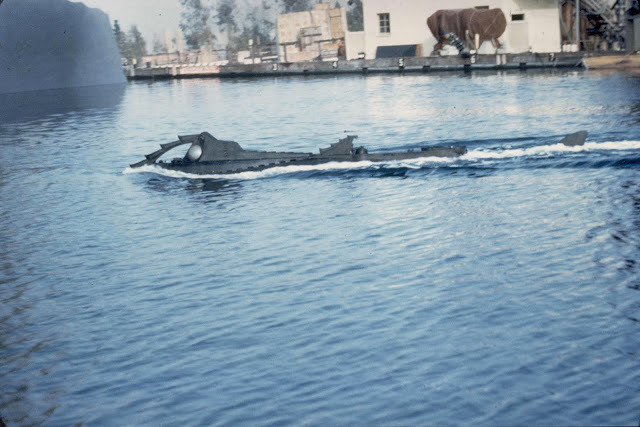 Of the three ship miniatures used in the film, the only one I ever saw in the Disneyland exhibit was the Golden Arrow three-masted paddle wheeler, the miniature with the least screen time. 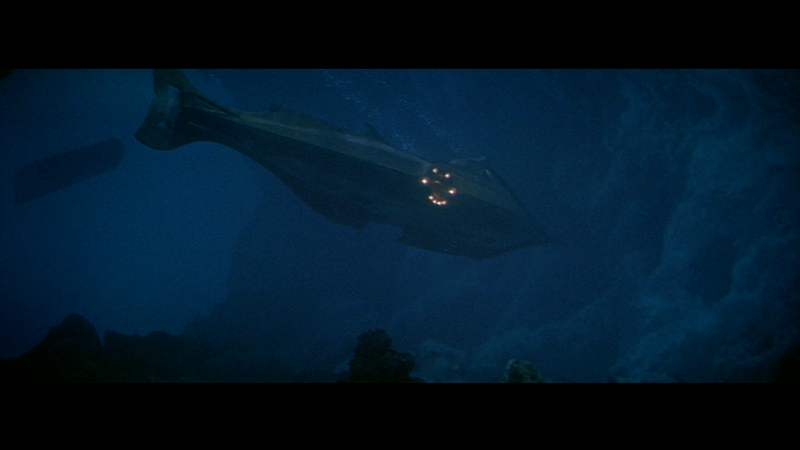 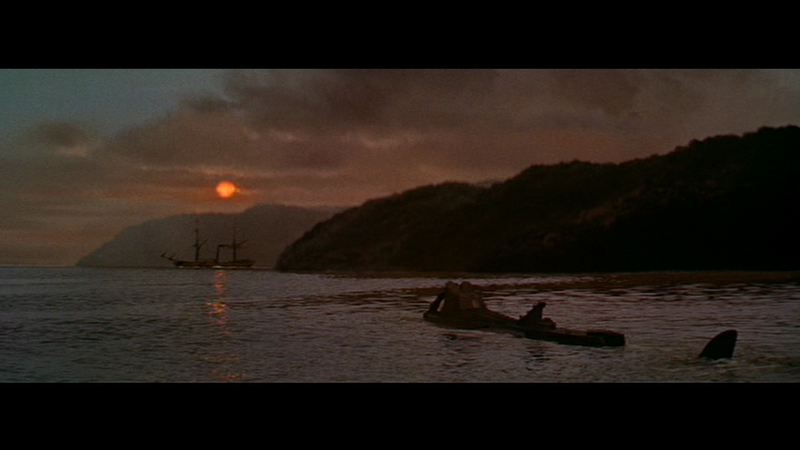 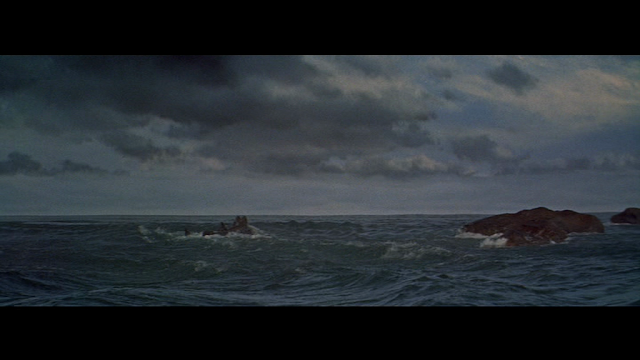 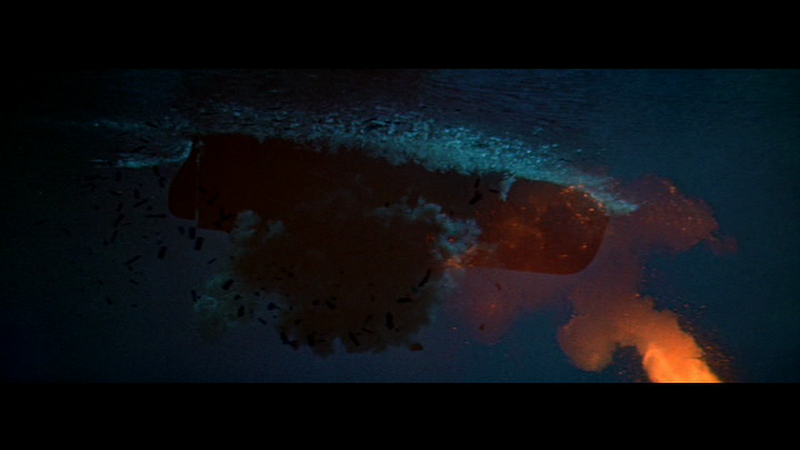 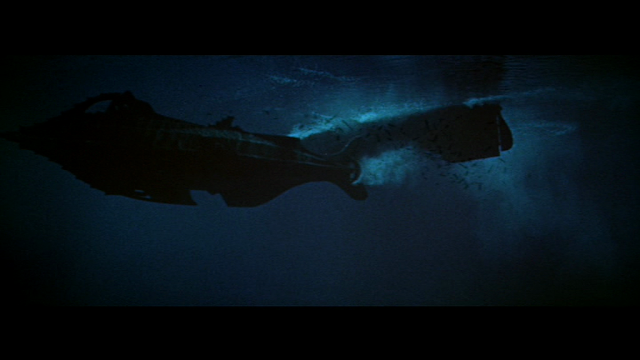 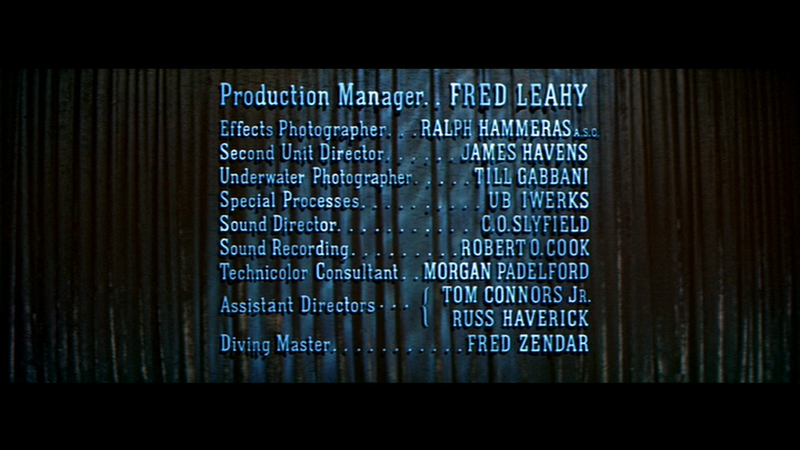 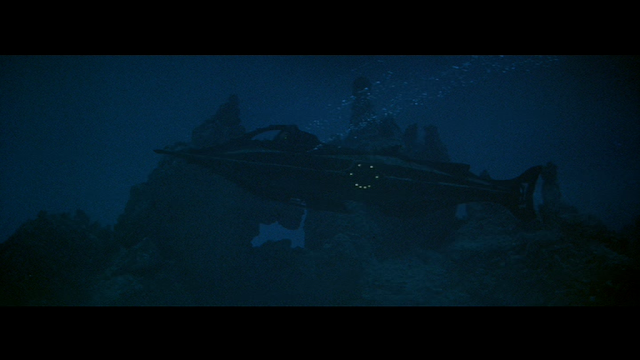 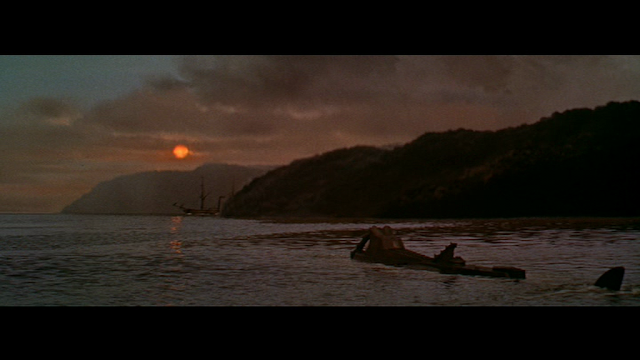 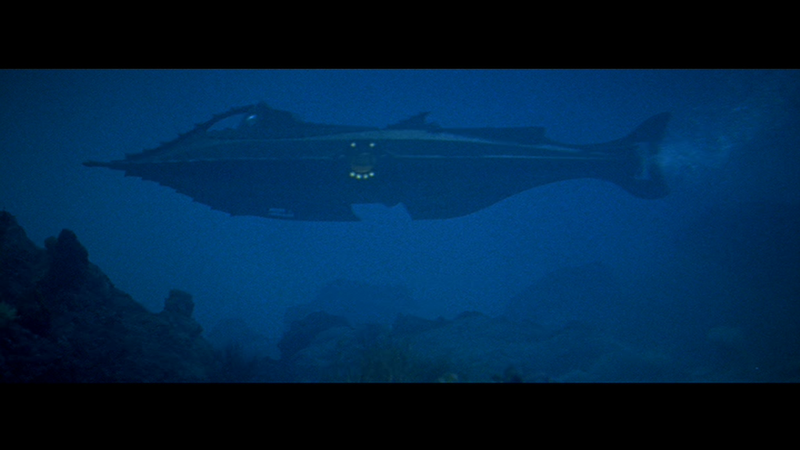 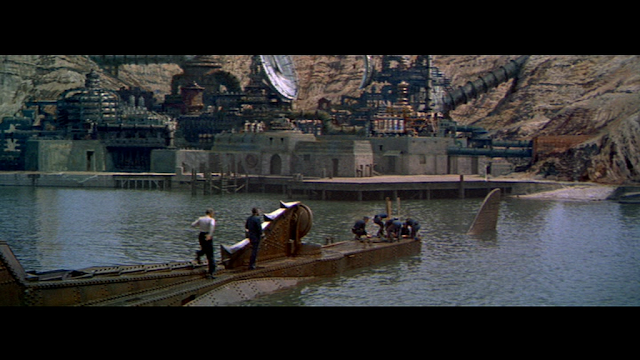 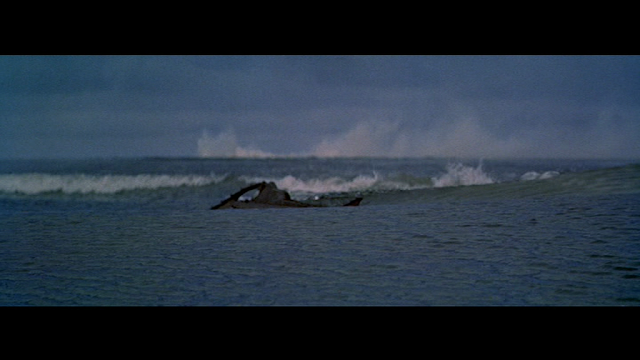 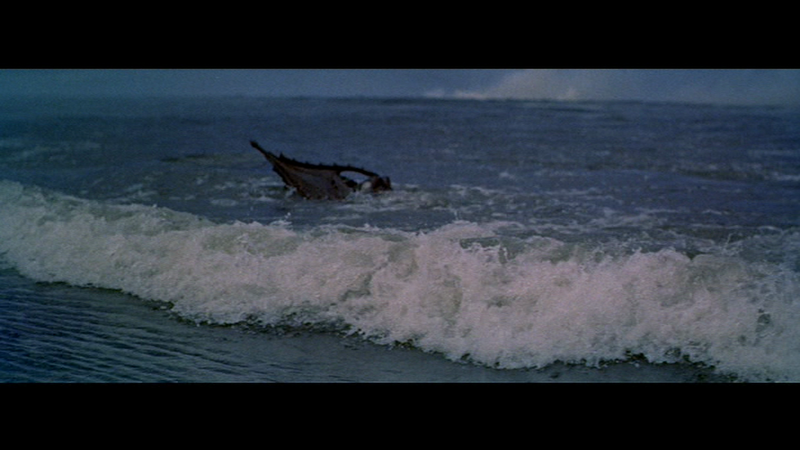 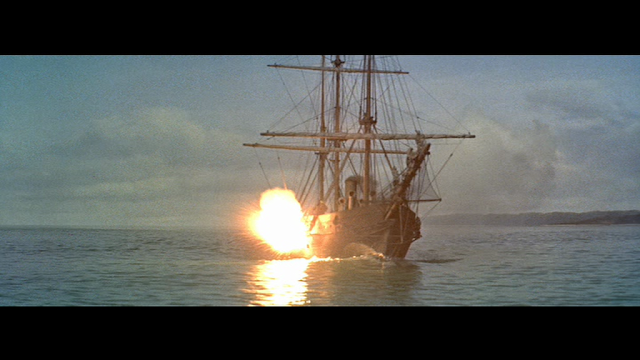 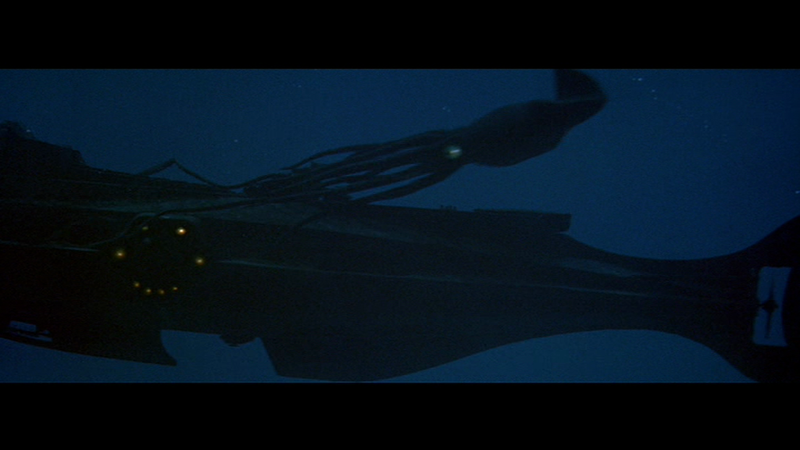 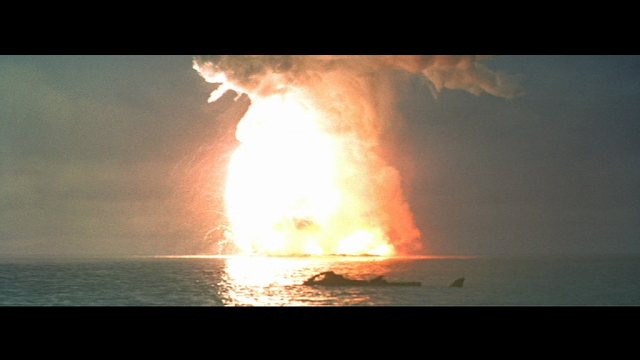 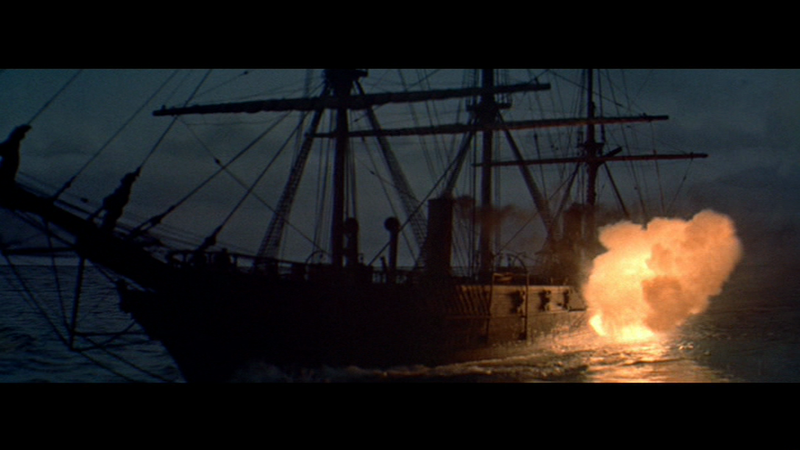 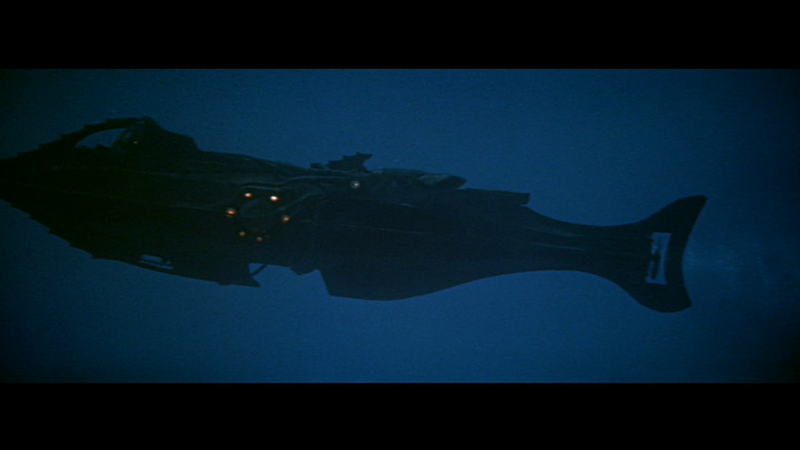 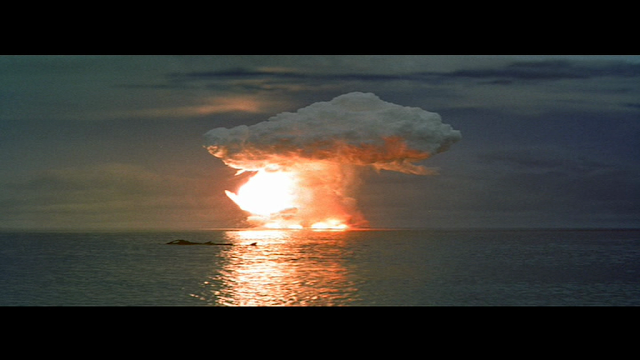 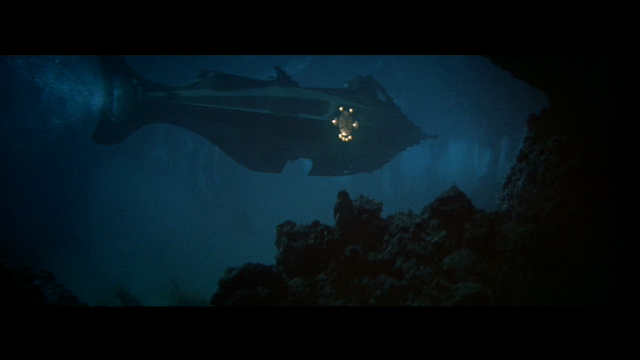 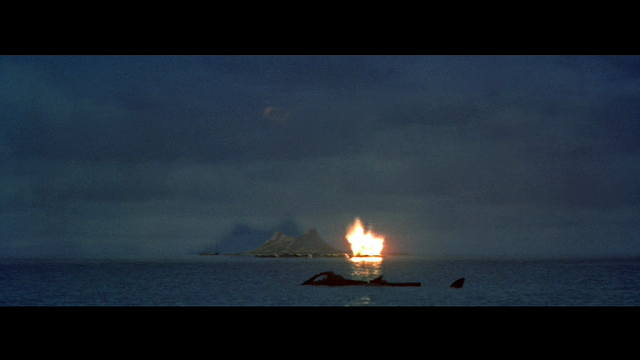 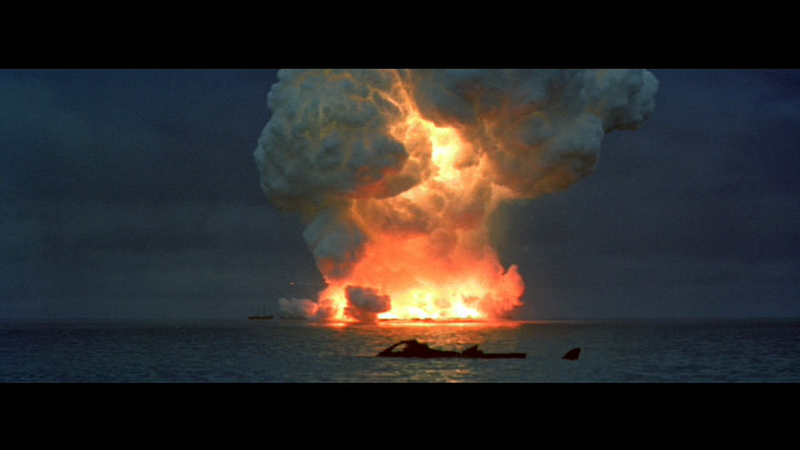 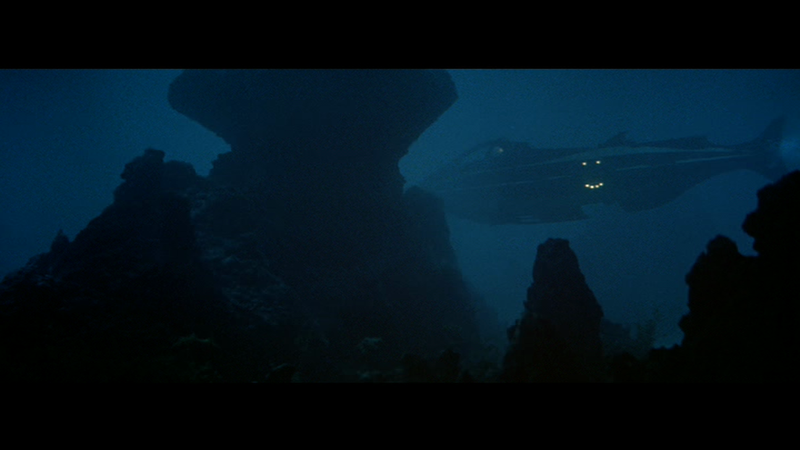 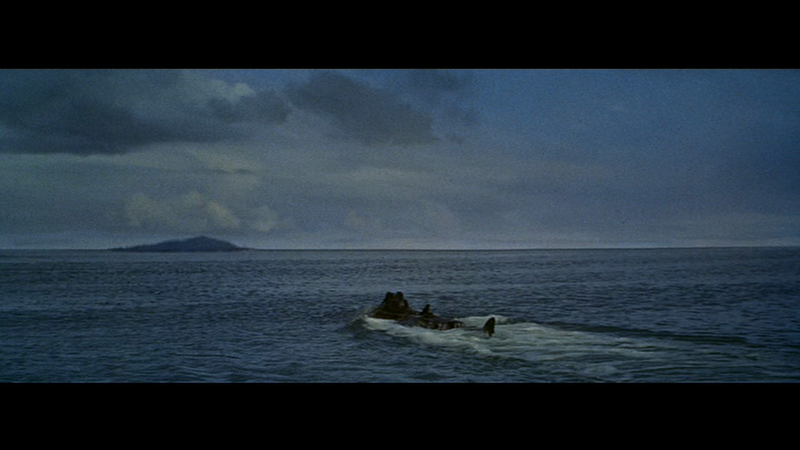 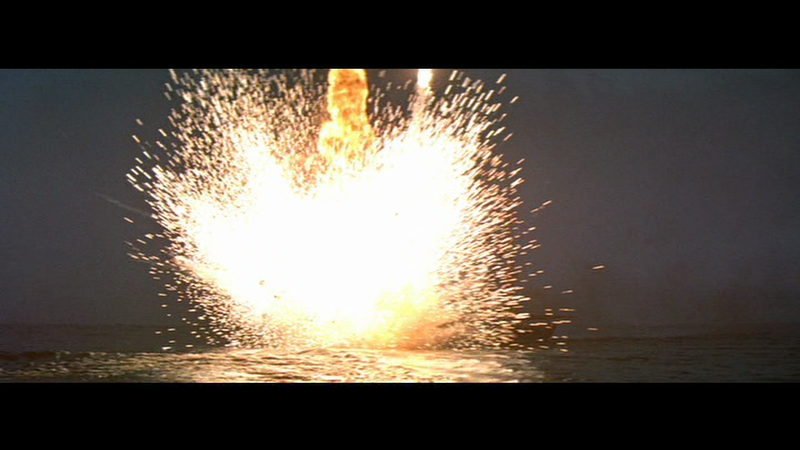 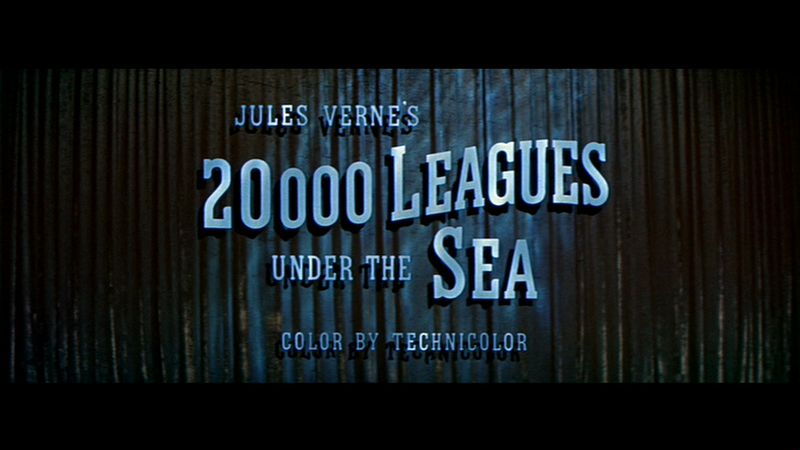 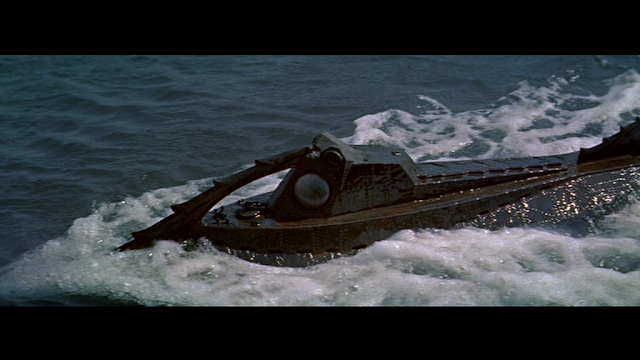 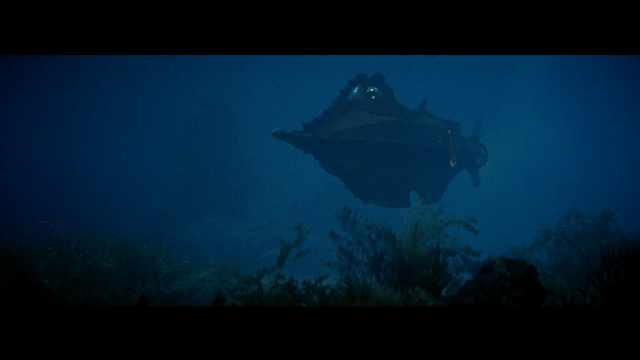 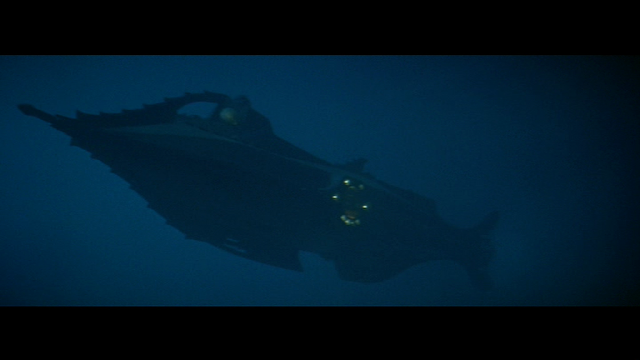 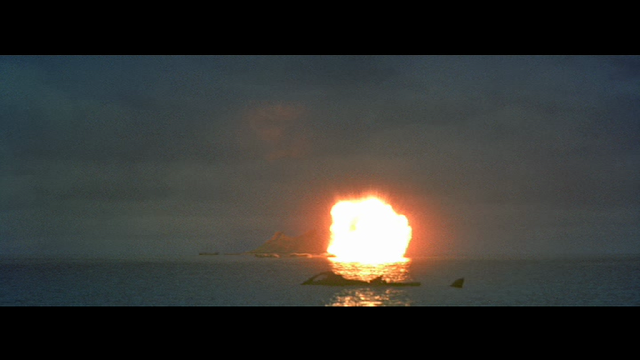 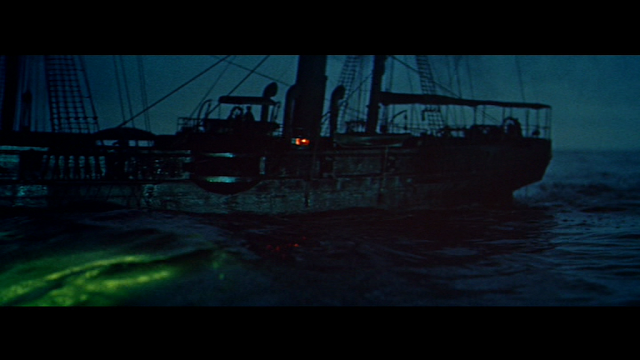 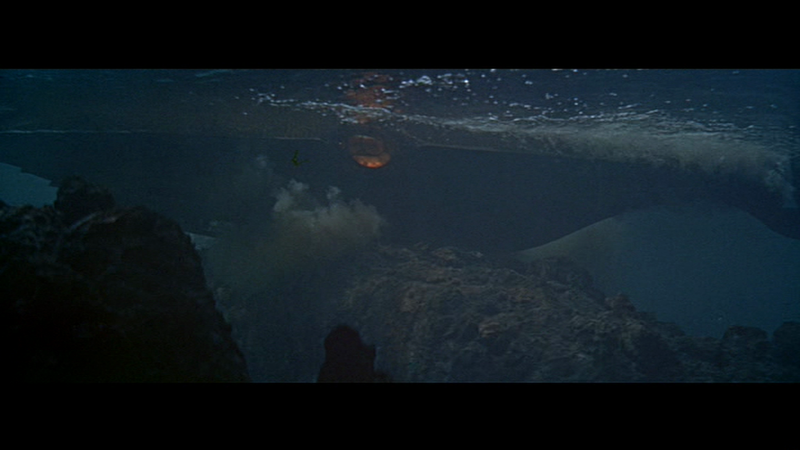 One of my favourite films, and I agree some of the classiest ship and submarine vfx. 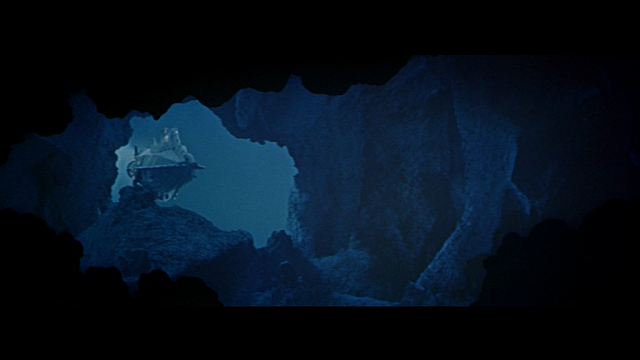 I love the stories of the anamorphic model. 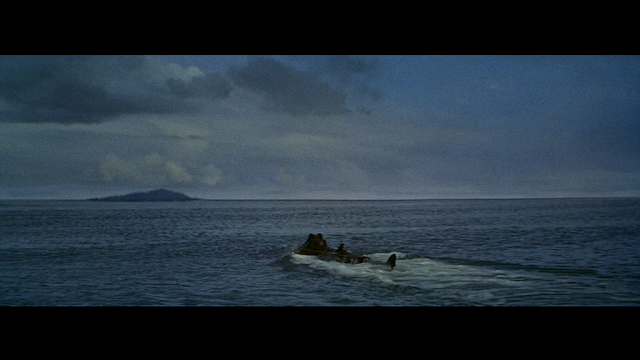 For the longest time I couldn't figure out why they would need to do this..... 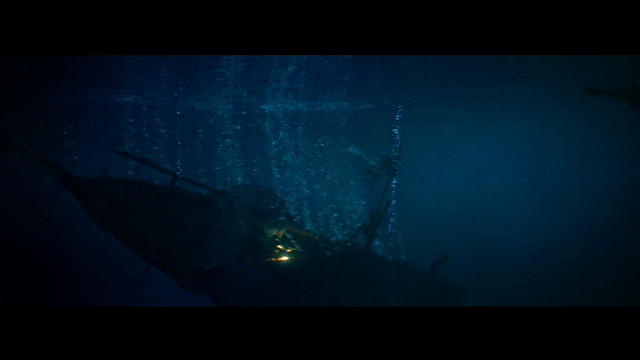 I thought it was something to do f stops and depth of field on the miniatures. But I love that it was because there were not enough CinemaScope lenses in Hollywood. I know this site is just about 'miniatures' but I wanted to make a mention of the terrific full scale giant squid puppet created for the fight on the surface. 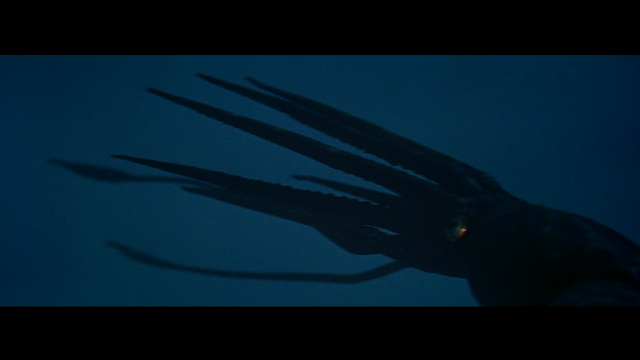 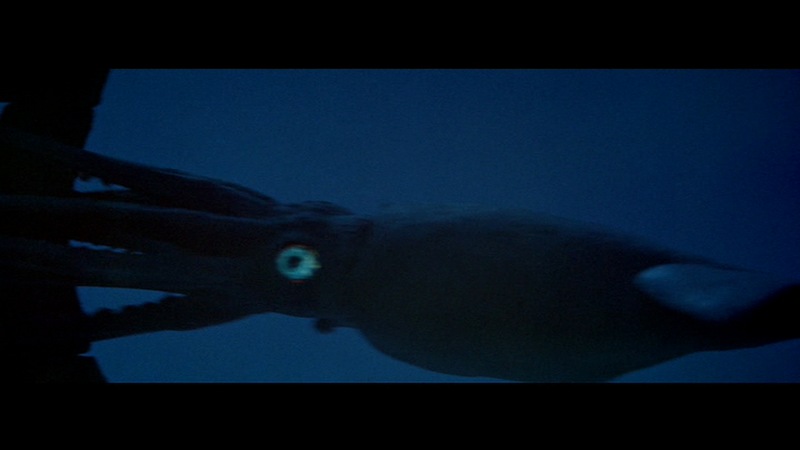 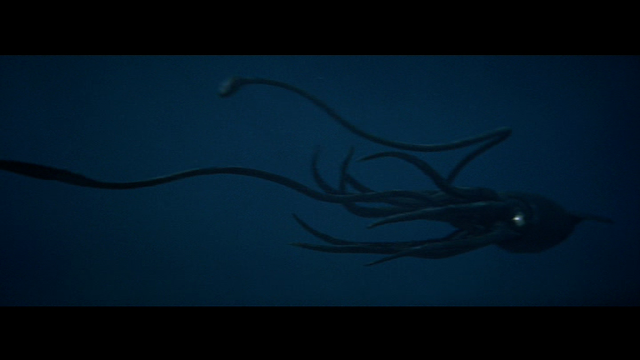 While it has some flaws I just love that whether it is completely authentic as a squid or not, it is a truly formidable beast and a terrific sequence. 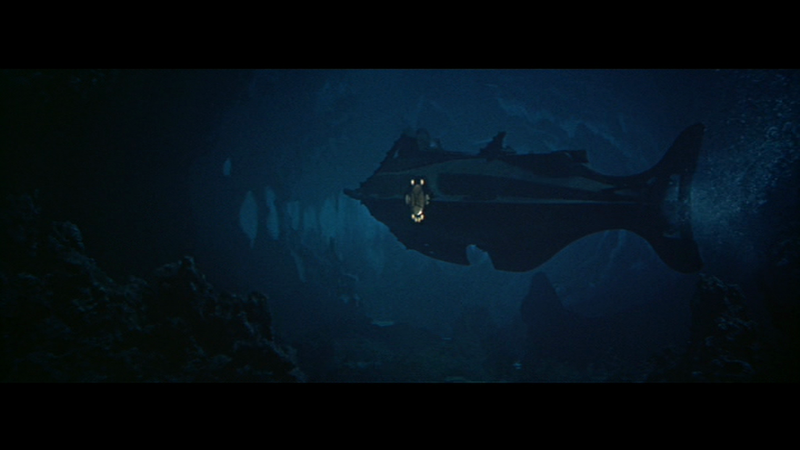 My take on the stories of the squeezed anamorphic Nautilus miniature is that they're heavily infused with legend. 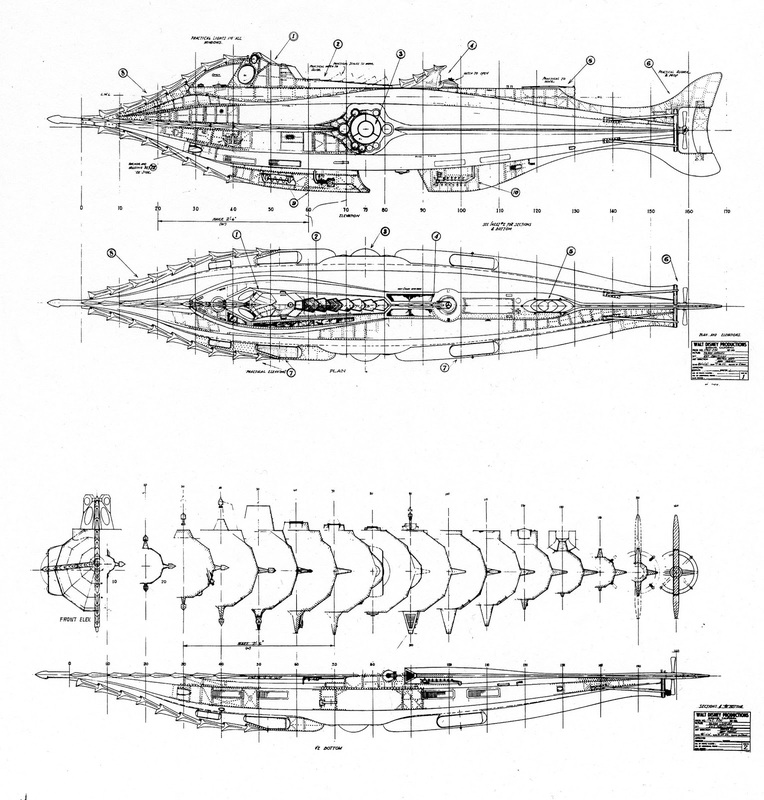 We do have the studio blueprints for the squeezed version, as well as photos of a model built from them, however they represent an earlier stage of the Nautilus design. 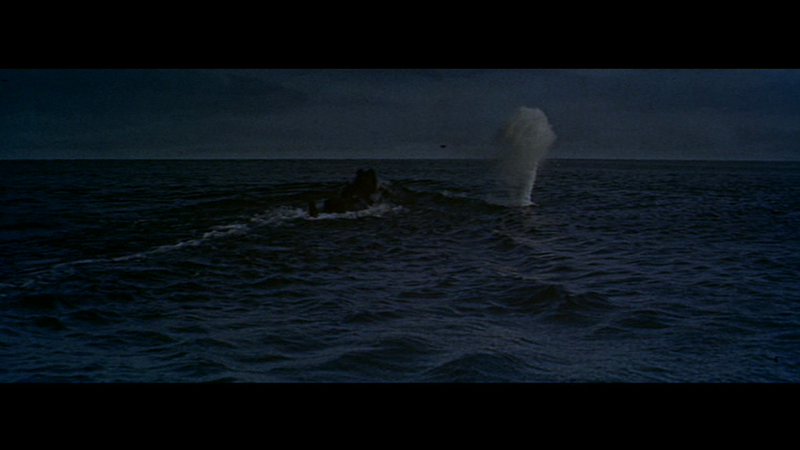 For example, they show a "periscope" and flag mast, no dorsal fin, no lower saw teeth, juxtaposed dive hatch and salon viewport relative positions, a different shape tail, and several other distinct differences. 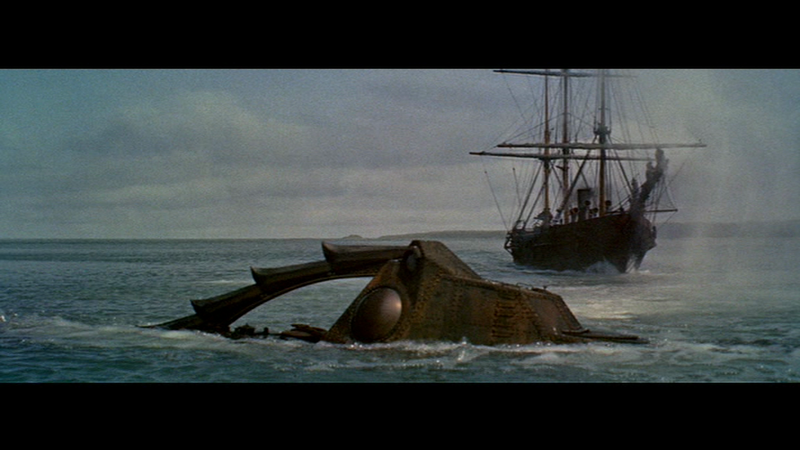 There are no records (photos or blueprints) extant of a squeezed miniature of the final Nautilus design and no shots of the Nautilus in the movie characteristic of the use of such a miniature. This leads me to believe that only the intermediate version of the Nautilus design was ever built and tested in a squeezed aspect ratio, then abandoned.